Mayor Rahm Emanuel and City Colleges of Chicago (CCC) Chancellor Cheryl Hyman announced a new transfer partnership with Arizona State University (ASU) that will provide students another viable opportunity to transition to a four-year university. The Guaranteed Program for Admission, available to all CCC students, maps community college coursework that puts students on track and prepares them to enroll at ASU. 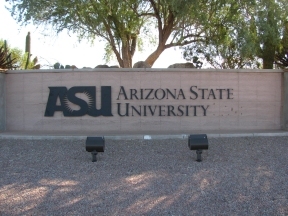 The program is designed for college students who plan to pursue an online or in-person undergraduate degree from ASU. The new Guaranteed Program for Admission with ASU ensures that City Colleges students seeking to further their educational journey to ASU are prepared for success as they transition. Starting next year in collaboration with CCC, students can transition to ASU, obtaining access to more than 300 undergraduate programs and multiple student support programs that will ensure students have the tools necessary to succeed through graduation. For more information on the Guaranteed Program for Admission at ASU visit, http://transfer.asu.edu/illinois.